House pests – – – animal species or genera that have a history of living in, or invading, human habitation and causing damage to structures, eating human foods, acting as bringers of disease and causing health threats. They are far more than an inconvenience. What’s worse is that the damage they can cause is not readily apparent. As anyone whose home has been infested with termites knows, the damage that can be caused wasn’t even aware of their presence. With mice, rats, and squirrels, it’s a bit different, but no more damaging. You’ll hear the pitter patter of their tiny feet as they race across your eaves, or build their nests. The point of entry needs to be determined and removed; the nests need to be removed, also, and bacterial treatment rendered to eradicate health risks. 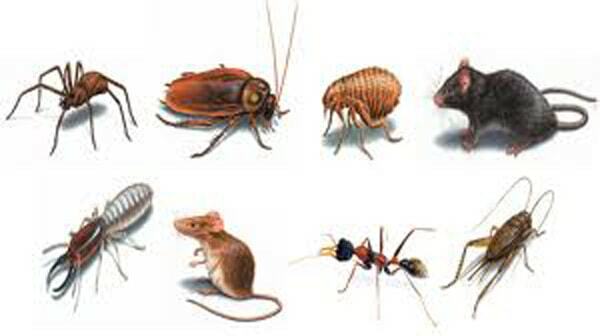 This section of our site provides you with specific information about the most common of house pests. Of course, we’re available and only a telephone call of an email away from answering your specific questions, too. So, please let us know how we can help.